Released in 1989 SAM Coupé was the last 8-bit micro to really attempt to enter British homes, but despite its cool features and ZX Spectrum compatibility it was simply too late. The computer came with impressive specs including a standard 3.5" disk drive, a 6MHz processor, 256K of (expandable) RAM, stereo sound, a palette of 128 colours, and a ton of expansion options. It flopped and is now quite the collectible rarity. 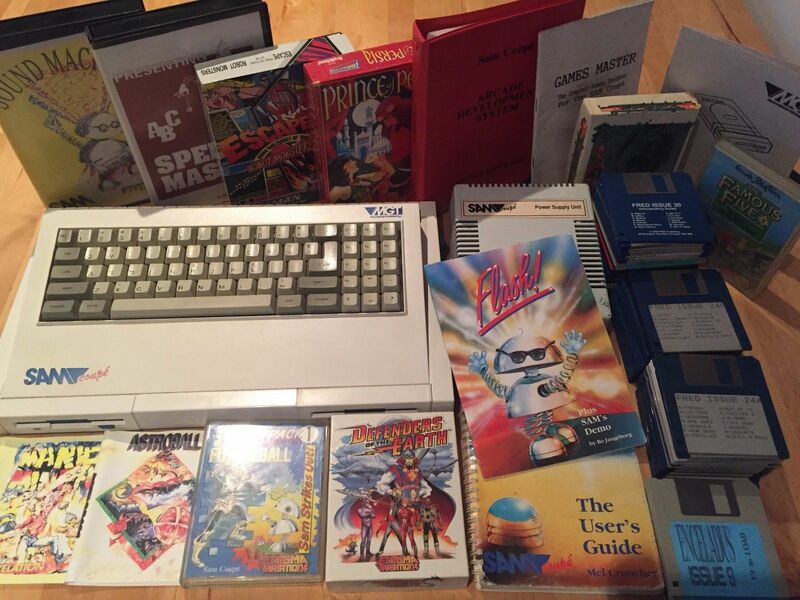 To own one you could do much worse than bid on this rather impressive SAM Coupé bundle on eBay. 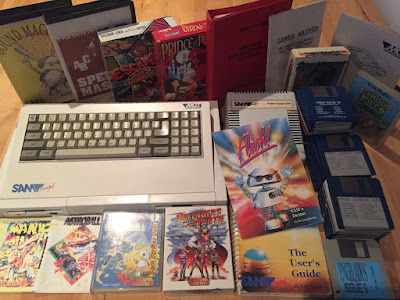 The computer on offer comes with two disk drives, dust cover, original box, manuals, many disk magazines, the PSU, and a ton of software and games including boxed copies of Manic Miner, Defenders of the Earth, Astroball, and Prince of Persia.